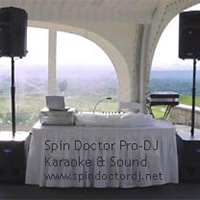 Spin Doctor DJ & Entertainment Services Is Vancouver & Whistler’s Premier Entertainment Specialists since 1984! Offering 17 professional DJ’s, excellent state of the art equipment and professional service at affordable prices! 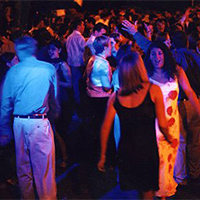 We specialize in Pro-DJ Services, Video DJ Services and Karaoke/DJ Services and The Name That Tune Show for Corporate Parties, Weddings, Ceremonies, Private Parties, Birthdays, Sweet 16’s, Conventions, Boat Cruises, Class Reunions, Christmas Parties, School Grads, Casinos, Themed Nights, Fundraisers, Destination Management companies....and more! 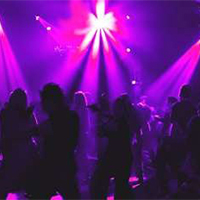 All of our expert DJ's have extensive music industry, musician, entertainer or radio training and background...so we know how to read a crowd, have fun and get the party started and have fun! Requests are encouraged and we will play them in the order you so desire....but our goal is to make your event memorable, get the crowd moving and up dancing! To keep current with the charts, we update our DJ Video and Karaoke music libraries every two weeks with the latest hits from: The UK Top 40, US Top 40, Billboard Top 100 and Promo Only for Canadian dance, hip hop, house, rock and country hits as well! You can add an optional 6ft by 6ft screen and projector to act as a backdrop...and everyone can see the lyrics and sing-a-long! 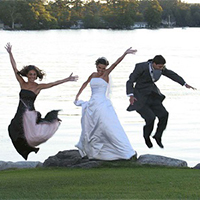 We will do your ceremony music and offer you tips on your music choices and structure. This service comes with: our DJ, a small sound system, wireless microphone, laptop, ½ hr of pre-processional music, processional, registry signing and recessional music. A photo booth is the perfect addition to your special occasion. Want to make your wedding, convention or party an event to remember? 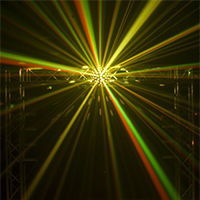 Consider a photo booth as an add-on to our “DJ Packages”! 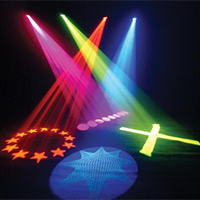 They are great fun and party entertainment or they are a memorable addition to your wedding guest book! Great for weddings, grads, anniversaries, bar/bat mitzvahs, corporate events, reunions, birthdays or any special occasion! 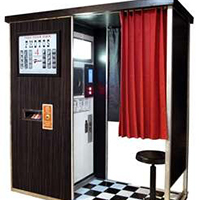 Our photo booths are custom made to work flawlessly and look great! You spend a lot of time making sure your event looks amazing so we know it’s important to provide a product that will compliment your event. Our booths are attractive, modern and will blend with any décor. Let us help you make your event a hit! Booth rentals include at least one on-site attendant for the duration of your event. This means that someone is there to make sure that your guests get the most out of the booth and keep things moving along smoothly so everyone can enjoy the booth again and again. Plus, our attendants are happy to help your guests add their photos to your photo guestbook.